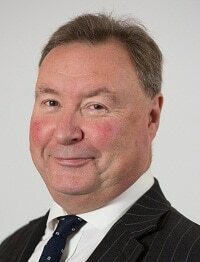 Alistair MacDonald QC, chairman of the Bar Council, has called for a revolution in the training of barristers to cut what he described as “astronomical” costs and increase the chances of successful students getting a pupillage. In a hard-hitting speech to Australian lawyers, Mr MacDonald said the “knowledge-based” part of the Bar professional training course (BPTC) could be delivered online, followed by a “quite tough” exam. Referring to the “astronomical” costs for current BPTC students, Mr MacDonald said: “The effect of providing the materials online is that it is much cheaper and much more flexible than the current system. Although there is a two-year part-time course offered by some institutions, it involves lectures in the week and at weekends. “The new course knowledge material could be accessed whenever it suited the student. Because it is online, there is no need to provide classroom space and the staffing costs would be pared down to a minimum. Mr MacDonald said that those who passed knowledge-based part one, would move onto their training for the “intensely practical” part two exam, which “would be offered over a much shorter period than at present, since the time would not be diluted by the requirements of knowledge acquisition”. Speaking at an Australian Bar Association conference in Boston, USA, earlier this month, Mr MacDonald said the plans had been developed by James Wakefield, director of the Council of the Inns of Court and a “highly experienced legal educator”, who had run the Nottingham Bar Finals Course. “I have every reason to believe that this system will be accepted and will become available in the foreseeable future,” the Bar Council chairman said. Mr MacDonald said it was a “stain on the profession” that so many people trained every year to become barristers but were unable to find a pupillage, and that “many are called but very few are chosen”. He said it devalued the brand of barrister to have so many people “entitled to call themselves barristers who are not really barristers at all”, resulting in “large numbers of highly qualified people who bear the Bar ill will”. 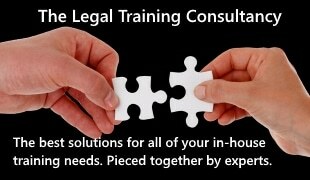 After a strong attack on the government for its “swingeing cuts” to the legal aid budget, the Bar leader ended with an unexpected swipe at alternative business structures. “There are unanswered questions about whether ABS entities with controlling interests from outside the law should be permitted. “It seems to me that it is all very well talking about the professional obligations of those who actually carry out the legal services but there are a whole raft of concerns and questions about the independence of those lawyers, and about conflicts of interest. “I also question whether, in a sector such as criminal legal aid, it is even appropriate to have entities in the market who are there with the primary purpose of simply maximising profit. The Bar Standards Board is currently consulting on its own proposals to reform the training of barristers, including the BPTC.